Aarti is incredibly professional and always ensures she is doing the right thing by her patients, and never encourages excessive treatments. She listens to what your needs are, and then discusses the options. She made me look ”fresh” rather than ”frozen”, and also helped me with advice on more general skin care troubles and routine suggestions. I work in London, but will always find the time to visit Aarti, as I can”t imagine finding anyone more trustworthy and excellent at their job. I’ve gone to Aarti for both botox and fillers and would highly recommend her to anyone considering these, or other, treatments. She is very knowledgeable and professional, and the results are excellent – I look noticeably better but still ”natural”! I recently had Botox and was very pleased with the results,Dr Aarti Narayan is professional and knowledgeable,she is happy to spend time giving advice, I would be more than happy to recommend. I received an excellent service and would definitely return to see this doctor. Her manner was very professional and calm and the treatment explained clearly before and during the procedure. Most of the dermal fillers (temporary fillers) are made of hyaluronic acid (HA) a substance which occurs naturally in the body. Among other functions, hyaluronic acid helps hydrate and add volume to your skin. With age, we replenish our hyaluronic acid at a slower rate. This means the moisturising and plumping effects decrease, making fine lines & wrinkles more apparent. Dermal fillers help to restore our skin to its former youthful appearance. Where can Dermal fillers be used? Dermal fillers can be used on any part of the body that will benefit from hydration with hyaluronic acid, such as the skin of the face, upper chest, or back of the hand. Specific types and grades of hyaluronic acid can be used to correct contour defects and hollows like acne scars. Can everybody use dermal fillers? Most people are okay to have dermal fillers, as long as they are not allergic to any of the ingredients. If a patient has skin infections like acne, cold sores or impetigo, most cosmetic treatments and injections in the are should be avoided. For obvious ethical reasons, scientific tests are not performed on pregnant women, or mothers who breast-feed their babies. So there is no data as to whether dermal fillers are safe in these conditions. Patients whose immune response is altered, either by disease or medication, are more likely to have reactions, infection and other complications with filler injections. During your consultation you will discuss your needs and medical history with your doctor. Are there any risks or side effects with dermal filler treatments? Over the years, millions of dermal filler treatments have been done uneventfully. Commonly, there is some pain, redness, bruising, bleeding or swelling as with all injection procedures. These will settle with no sequelae. Bruises understandably last a bit longer after injection into the lips. All injection treatments have a small risk of infection. You should discuss side effects and post treatment reactions with your practitioner during consultation. How long do dermal fillers last? The effects will last generally between 6 months to a year, sometimes longer. Typical areas patients request treatment for are around the eyes, the mouth or nasal labial folds. Hollowing, flattening and loss of Volume shows mainly in the lips, cheeks and chin areas. Popular areas for treatment are labeled in the picture below. Are there differences in dermal fillers? There is a range of dermal fillers, each designed for a specific result and to applied to a particular layer of the skin. Fillers that hydrate aging skin are different to those that we use to re-contour facial outlines. There are specialised fillers to hydrate lips. With training and experience, aesthetic specialist doctors develop the skill to select the correct product for the patient’s needs and skin type. 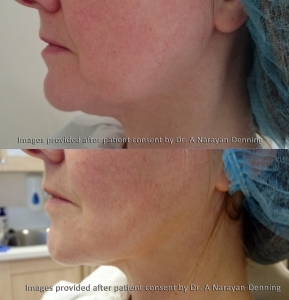 Broadly, dermal fillers can be grouped into non-permanent (resorbable) or permanent (non-resorbable). At Reverse Time, we use only approved, non-permanent fillers. Why you can trust Reverse Time: We are committed to the safety of patients approaching us for advice on appearance enhancing procedures. Our doctors are regulated and accredited. We invest in high quality training, authorised suppliers and are proud of many favourable patient reviews. Being regulated, regularly appraised via the NHS, and using only proven products and equipment means you can have complete confidence and trust in Reverse Time to administer injectable treatments safely. When patients ask whether they can see their dermal filler treatment results right away, we advise them that the results are visible immediately, and also that we always aim to use dermal fillers to produce realistic and natural results. How is your thyroid treatment working out for you? Download PDF – Is the thread lift for me? Which areas of my face can be treated with Botox? How does Botox ® work? Will it hurt when I have Botox treatment? And do I need numbing? 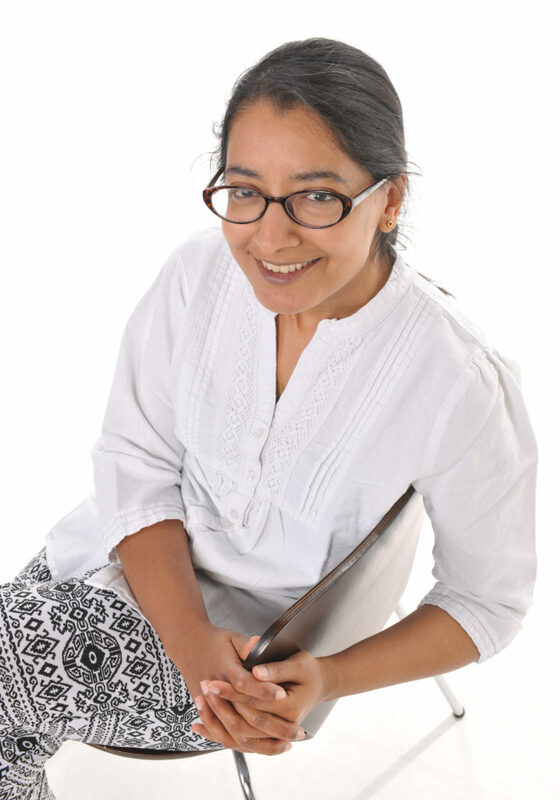 Dr Aarti Denning is a fully registered GP and medical cosmetic/aesthetic Doctor. talkRADIO – Can tilapia skin help burn victims? Which beauty products are safe to use during pregnancy?